The whole world is wondering at the economic strength of Australia since 1990. What is the secret? That is what everyone wants to know. Well folks the reforms on inflation in 1990’s are bearing fruit now. When the whole world was struggling with rising prices Australia was happy and rich. Australia has now one of the highest living standards in the world and has not seen depression for close to three decades now. The past 25 year average inflation is 2.5% which is incredibly low for a growing economy. How does low inflation help the economy? It helps the middle and lower-income level people. They have more disposable income which they can use to raise their standard of living. This increase in purchasing power means economic upliftment which is continuous. This is the main reasons why an average Australian has a good lifestyle. The growth in wages has been more than inflation leaving the people a bit richer. Another benefit of low inflation is lower lending rates. Availability of credit at lower rates means a better environment for new business. The debt is cheaper and this leads to more profit being made. This profit then ultimately is positive for the economy as a whole. This small step taken in 1990 has made Australia the healthiest economy of the world. An example that can lead to reforms in other countries. 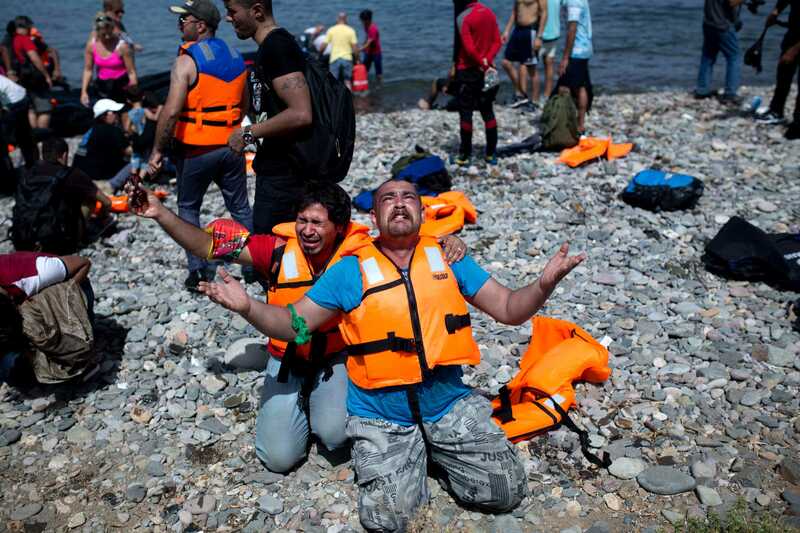 Syrian crisis is slowly but surely blowing out of proportion. This does not mean well for the world economy. The war is costing money and lives. Australia seems to be out for the moment, but is it so? Well the reality is different. There are Australian units in the war in Syria. The economy is feeding these soldiers and it will indeed has an effect on the economy. The recent shooting of the Russian fighter plane by Turkey does not augur well for the world. It might lead to a full on exchange between two blocks. The world is slowly dividing itself into two blocks. Turkey and NATO on one side and Russia on the other is the current situation. USA is trying to be neutral but how long is the biggest question. Australia has bases of USA in Australia and here lies the threat. The bases are directly linked to control of USA in the southern hemisphere and Russia will surely see it as an aggressive base. Islamic State army is also not doing more than fuelling Russian war calls. Australia gets economic grants from USA for supporting and keeping theses bases. It also is protection from Chinese aggression which is becoming a possibility by each passing year. So the future seems really uncertain. Hope the world leaders practice some restraint. How is the economy doing currently? The answer is it is doing better than last year and it is growing. The economy is expected to have an average growth rate of 2.7% as per the government. It is quite a good figure considering that whole of Europe has growth rate less than 2 percent. It is not only the trade centers that are growing, but the whole Australia is showing signs of growth. Asia is the driving force behind the economic uplifting and remains the center of all activities. However there are dangers still lurking. Greek financial crisis is still a threat with the newly elected government unable to prevent the slide. Russia and Ukraine unrelenting unrest is a threat globally and affects Australia very closely. The war in Syria and other parts of Middle East adds another facet to the economic ripples in the world. Australia gets affected but is doing well covering these risks. The brighter side is boost in spending and the falling inflation. However it is a double-edged sword.The low oil prices have left the economy with extra income which is boosting the economy as a whole. The wage rates are up and unemployment is at a ten-year low. So what these things signify actually? The mood of the economy is good but the cautious approach is still the best approach. Household spending are up but soon the inflation will cross the zero mark and that will get affected. The investor has to be very careful as the manufacturing and construction sector are still not doing well. So, brace yourself for an uncertain future, but enjoy the good moments now. What is the current situation of our economy? Yes we tend to be fearful even after being almost untouched by the downturn worldwide. Our economy is doing quite well at the moment. The growth rate is around 3 percent better than the much publicized UK economic growth. Yes folks we are growing at a rate better than whole of Europe and America. It is not just one sector which is pushing us forward. Proper reforms by our government have done wonders with each sector. Even the manufacturing sector is growing albeit a bit slower than the rest. We are on the other part of the world and Greek crisis or the Russian fall down does not affect us much. Do not think it does not matter. Well Greece is too small to matter but economic problems in Russia will spill over to the rest of the world. We are getting affected but being physically away from unrest helps in a way. The Syrian war or the ISIS threat is real for the world, but it only has a far effect on Australia. We are physically protected by sea all around. The bright side is that inflation is falling and the current Iran US agreement will keep the oil prices down. The wages are up and the economy is going up. Our cricket team is losing to England but our economy is much ahead. Just have faith in the robust system created over the years. Australia and Asia are natural partners and this has been proven over the centuries. Australia is the largest trade partner of Asia and according to trends soon it will topple Canada as the second largest investor. Almost tow thirds of exports from Australia land as imports to the Asian nations. It is due to proximity and due to competitive pricing and policies.The Australian government has played a very important role in building the relationship. Reforms – Australia sensed the importance of Asian markets much before Europe and Americas. Hence policies were framed accordingly. The policies encourage trade with the Asian nations which are one of the most lucrative markets for companies all over the world. The decision taken with vision has helped Australia to become the biggest trade partner of Asian nations. Removing Restrictions – Australia has made special provisions to remove trade restrictions and that has helped to capture the markets in Asia. China one of the largest economies of the world has a long-term relation with Australia. Building a competitive workforce – Australia has made immigration laws better for Asian nations helping it to build a competitive workforce. The Asians have made Australia a place to invest due to lowered wage patterns. The APEC (Asia-Pacific Economic Co-Operation) has also been responsible for building the trade relations. Australian economy has been robust due to strong presence in Asia even during the economic crisis which affected the whole world. Asia also benefited from the relation, and recovered quite quickly from the effects of the crisis. Australia and Asia are truly brothers economically. Read more here for updates. It has been risky to invest in these times of economic crisis. No sector or region has been left untouched by the economic slow down. However there has been an increase in foreign investment in Australia. Surprising but true. 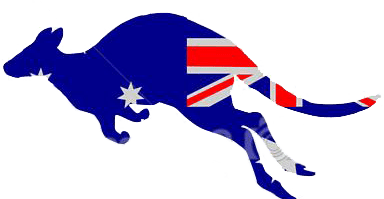 When the whole world’s countries are seeing investors pull out or at least decrease their stake, why are investors increasing their stake in Australia? Uninterrupted Growth – Australia is seeing 24th straight year of growth. Nothing has been able to stop it. The economy is well diversified and service based. High productivity drives all the industries forward emancipating growth and bright future. High ratings by all global rating agencies adds to the already positive business environment. Driving Innovation – Australian economy has been embracing and promoting innovation over the years. Focus on research and development and education. New developments have helped the economy grow. It has been the place for innovations and discoveries. Diverse workforce – The people living in Australia are from many cultures around the world speaking different languages. They comprise the workforce which is among the most educated in the world. Forty percent of the working population has an additional qualification which helps the overall productivity. The Asian connection – Australia has been the traditional business partner of Asia. The geographical proximity makes it easier for trade. The trade with Asia is only next to US and UK. The ever-growing Asian market has led its own speed to the Australian growth. Simple regulations – Doing business in Australia is easier than most countries around the world. It stands among the most transparent business environment. This helps to get the foreign investments and get the business kick started. The upcoming ICC cricket world cup will give a boost to the economy of Australia and New Zealand. The ICC Cricket World Cup is the premier One Day Championship. The tournament has changed a lot since its inception. Colored clothing, huge sponsorships and sports tourism are only few of the benefits for the host countries. Last tournament was hosted and won by India. Australia has been the most successful team with four tournament wins. Advertisement – This major tournament acts as an advertisement for the host. It helps to tell the world about the hospitality of the nation. This naturally results in attracting the tourists and eventual expansion of the tourism industry. 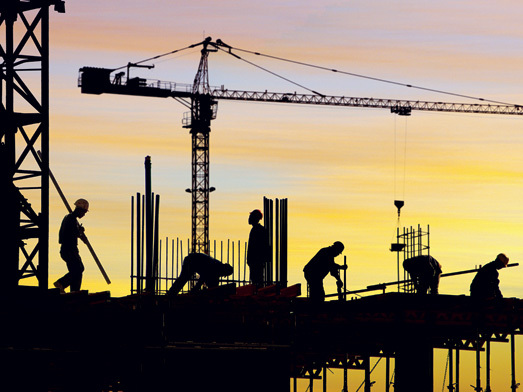 Investments – The event work as the perfect place for investment in infrastructure. The best example is the Football world cup in Brazil which helped build the tottering infrastructure. Culture – The event will help show case the unique culture of the host nation and help the travel industry. Hotels – One of the major beneficiaries of major sports event is the hotel industry. There is a sudden increase in revenue. Sales – There is an increase in consumption of various articles like Television, cola and cricket equipments. Multi National Presence – The presence and active participation of companies like Nike, Adidas and cola giants have a positive effect on the economy. Australian government has eased the visa rules for the international visitors across the country. It will further the economy which is already growing at healthy rate. It is the best time to host the World Cup and I hope Australia wins. Australia’s doing quite good, thank you. We have a habit of complaining about the condition of the economy. It’s ingrained into our consciousness, so much so that we don’t even question the reality. Australia, according to most reports and studies, is one of the most stable, richest economies in the world. 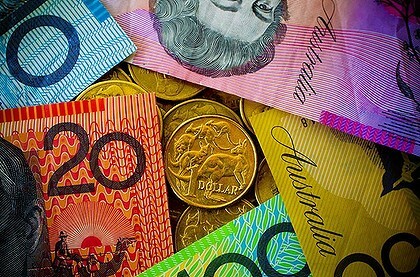 The average Australian was found to be one of the richest in the entire world, with less than 10% of the country’s population living under $10,000 a year (far, far below the global average of 70%). In the past 30 years, the country has experienced a steady level of development as well. On an average, the country has experienced 3.3% of annual growth, which is no mean feat. Hardly any countries in the world have been able to experience such a peaceful economic growth. This growth has been so steady that there are a number of youth in the country that have never experienced an economic depression in their lifetime. The country has been lucky enough to be situated in the fringe of global economic battles in this century, which has given it a unique stability one can not find in other situations. The country has a few problems, sure, but things are not as bad as they could have been, and that is worth celebrating. 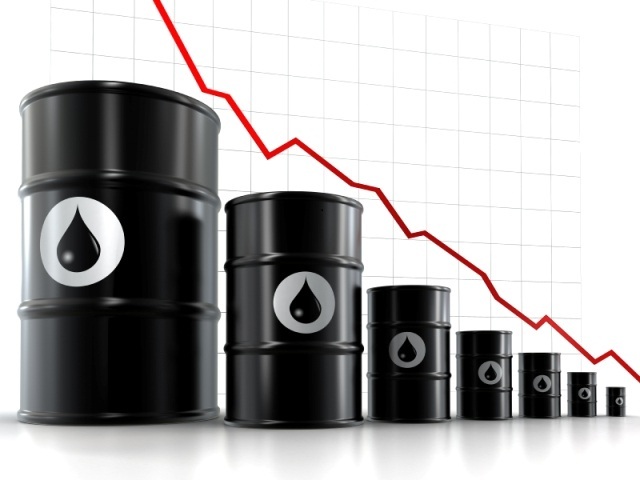 Australia and a number of other countries are experiencing a fall in the price of oil. This long awaited good news comes after a period of unhappiness about the direction in which Australia’s economy is headed. The drop in oil price comes because of the fact that we officially have more petrol than we are actually using. The prolonged period of trouble and strife in the Middle East combined with the excess supply of oil both caused a reduction in the price of petroleum, diesel and other related products in Australia. It’s expected that we will be seeing bowser prices we haven’t seen in a long time now. This is certainly good news for all motorists, who will be spending lesser money on travel. The reduction in aviation fuel price means that flights can be expected to cut down on flight costs a bit too. Even couriers and post will cost lesser, if this phenomenon lasts a little longer. It is expected that cargo prices will also be going down soon. In fact, one can expect prices of perishables to go down as well (since the perishables are the products that are delivered on a daily basis and will be affected by price of transport). A number of industries will be affected positively and negatively by this falling trend, but the long term impact is yet to be fathomed. The cost of construction is on a historic high in Australia. Over the past year, the cost of building has increased by 4% which is not just higher than the historic average, but is also higher than the growth over the past five years. The housing market is incredibly buoyant right now, and it has affected the cost of construction throughout the country. The buoyancy of the housing market might have increased the profit margins of the construction companies in Australia, and increased the cost of all equipment too. This situation has not done anything to increase the wages or the benefits of the people involved in construction work. The construction workers are not responsible for this increase in construction cost, and they are certainly not reaping the benefits of the same. Houses and office spaces have become more expensive to buy, but the rents have not gone up in a proportionate manner. In fact, the cost of renting is at an all- time low since after the 2000s. While this might not be good news for people looking to buy houses now, or for people trying to rent their home out, it is good news for people who already have a mortgage, for the RBA has reduced mortgage to a mere 2.5%.